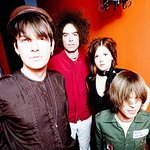 The Dandy Warhols are releasing a collaborative project called Breathe Easy on October 21, with all the profits going to the Three Rivers Land Conservancy. The Portland based rockers recorded the album at their Odditorium Studios with indie bands such as the Raveonettes, the Black Angels, J Mascis, Saul Williams, Spoon’s Britt Daniel and Midnight Movies. The album will be released digitally at selected sites that will be announced on the band’s website. The Three Rivers Land Conservancy is a non-profit organization that works to conserve and preserve land by the Clackamas, Tualatin, and lower Willamette Rivers against urbanization. The Dandy Warhols and the Three Rivers Land Conservancy believe that conserving land and protecting against errant urbanization creates stronger healthier communities now and for future generations. Through consumer purchases and corporate contributions, the initial goal is to save 10,000 acres of Oregon’s natural habitat. Check www.dandywarhols.com for more information.